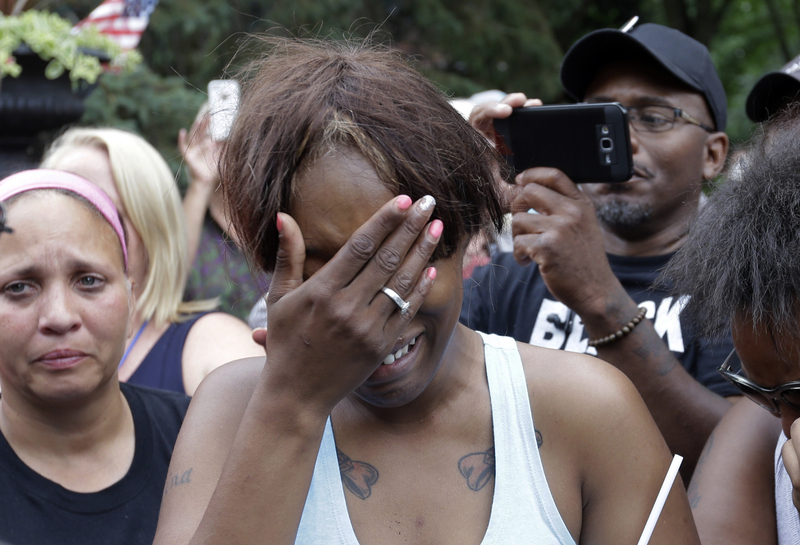 Diamond Reynolds, the girlfriend of Philando Castile of St. Paul, cries outside the governor's residence in St. Paul, Minn., on Thursday, July 7, 2016. 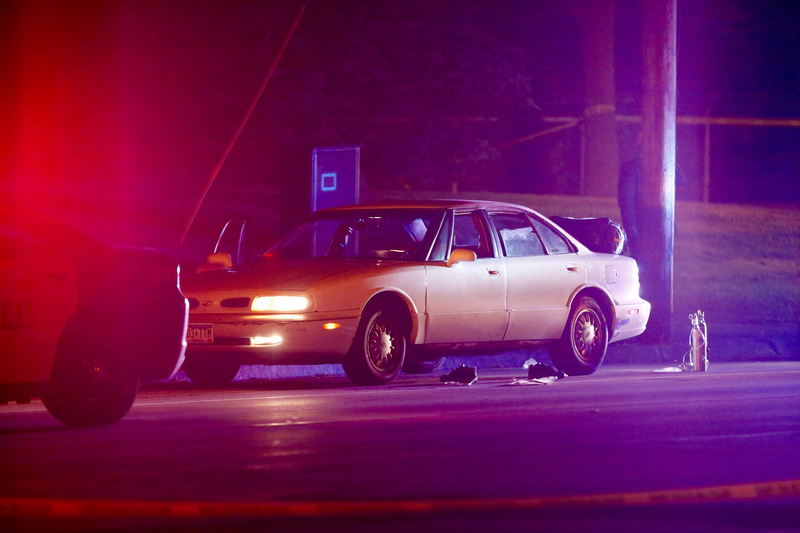 Castile was shot and killed after a traffic stop by police in Falcon Heights, Wednesday night. 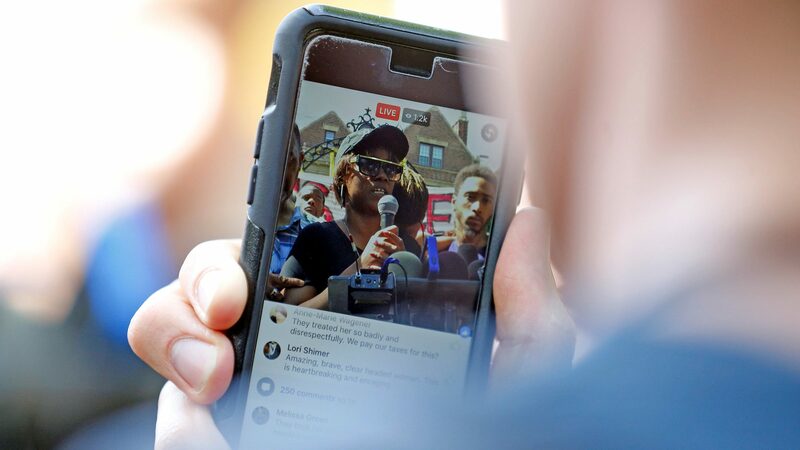 A video shot by Reynolds of the shooting went viral. 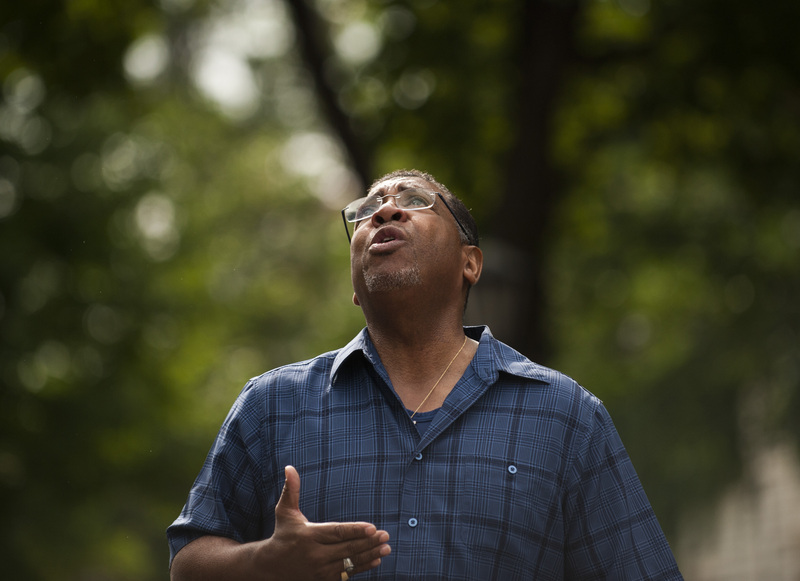 Pastor Brian Heron leads a prayer for Philando Castile outside Governor's Mansion on July 7, 2016 in St. Paul, Minnesota. Castile was shot and killed last night, July 6, 2016, by a police officer in Falcon Heights, MN. 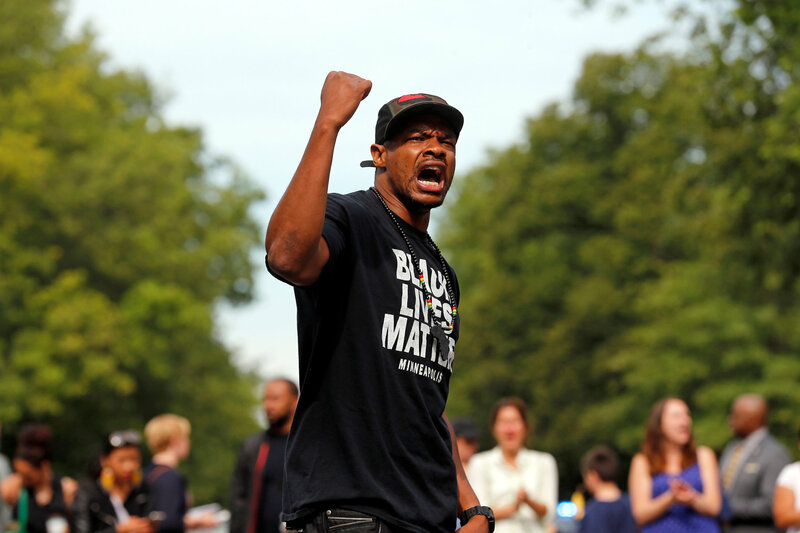 Marques Armstrong chants in support of Philando Castile, who was fatally shot by Minneapolis area police during a traffic stop on Wednesday, at a "Black Lives Matter" demonstration, in front of the Governor's Mansion in St. Paul, Minnesota, U.S., July 7, 2016. 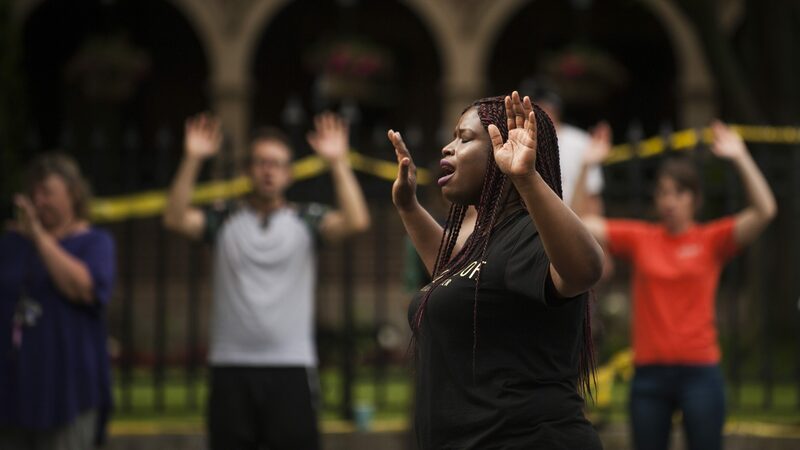 Minneapolis NAACP president, Nekima Levy-Pounds, leads a chant of "Hands up, don't shoot," for Philando Castile outside Governor's Mansion on July 7, 2016 in St. Paul, Minnesota. 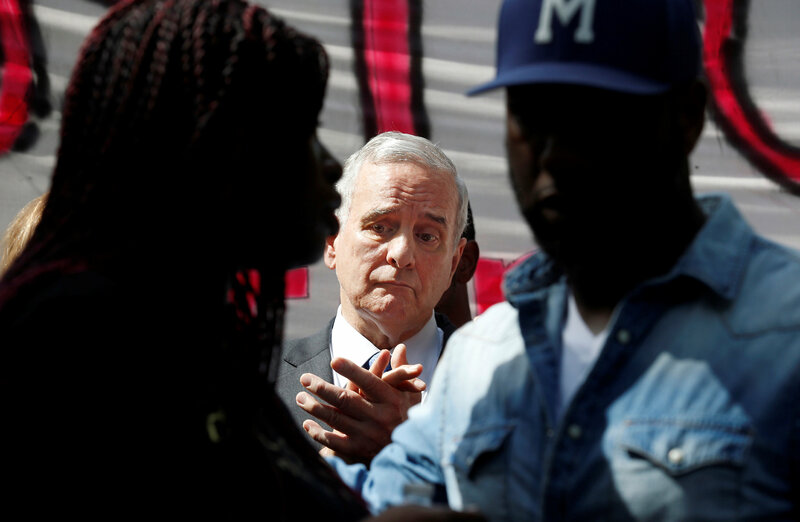 Diamond Reynolds is recorded on a cellphone as she recounts the incidents that led to the fatal shooting of her boyfriend Philando Castile by Minneapolis-area police during a traffic stop on Wednesday at a Black Lives Matter demonstration in front of the Governor’s Mansion in St. Paul, Minnesota, on Thursday. 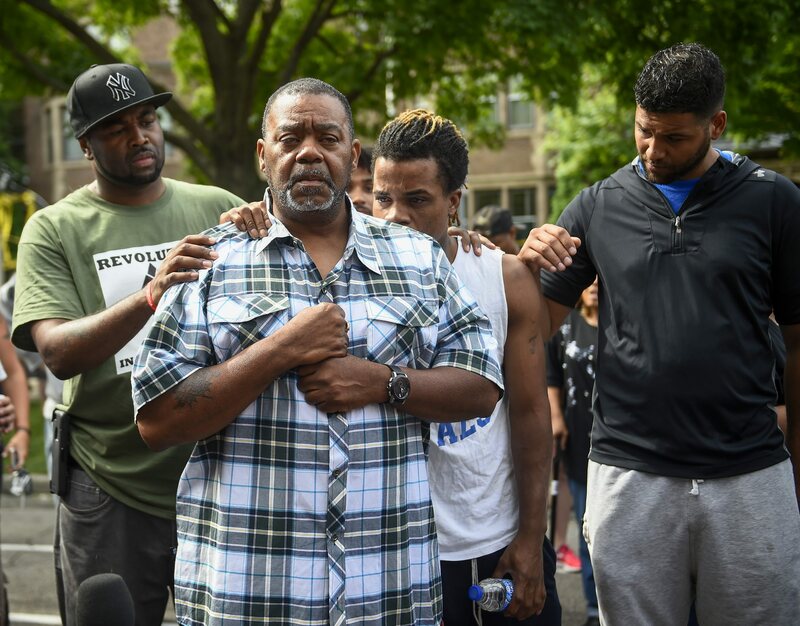 Clarence D Castile (2-L), uncle of deceased Philando Castile, talks about his nephew during protests outside the governors residence in St. Paul, Minnesota, USA, 07 July 2015. 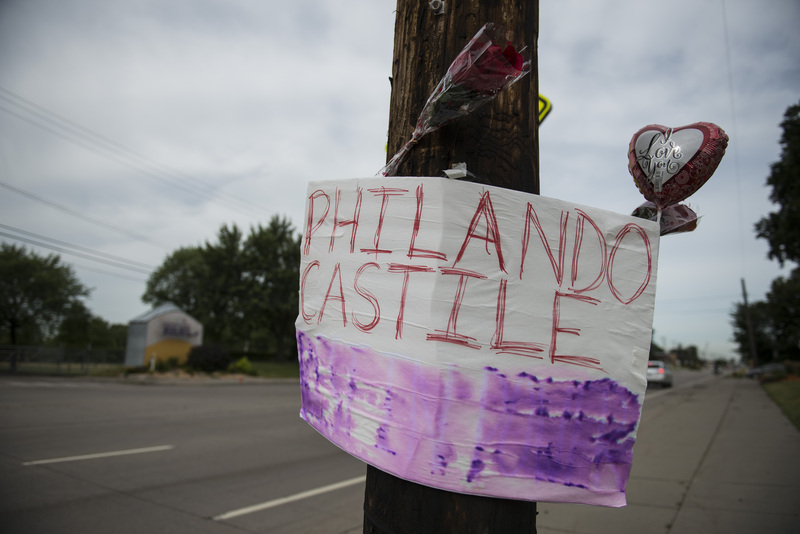 Philando Castile was shot and killed by a police officer during a traffic stop in Falcon Heights, a suburb of Minneapolis. 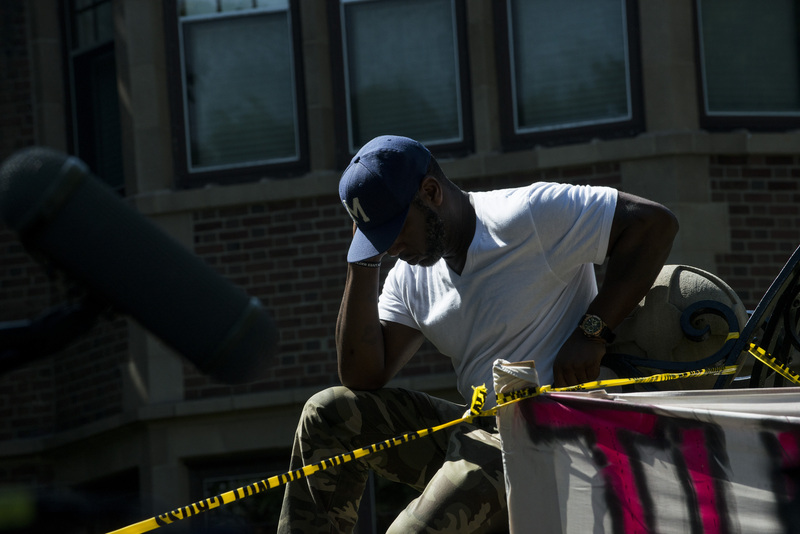 Pastor Danny Givens listens to a press conference about the killing of Philando Castile outside Governor's Mansion on July 7, 2016 in St. Paul, Minnesota. 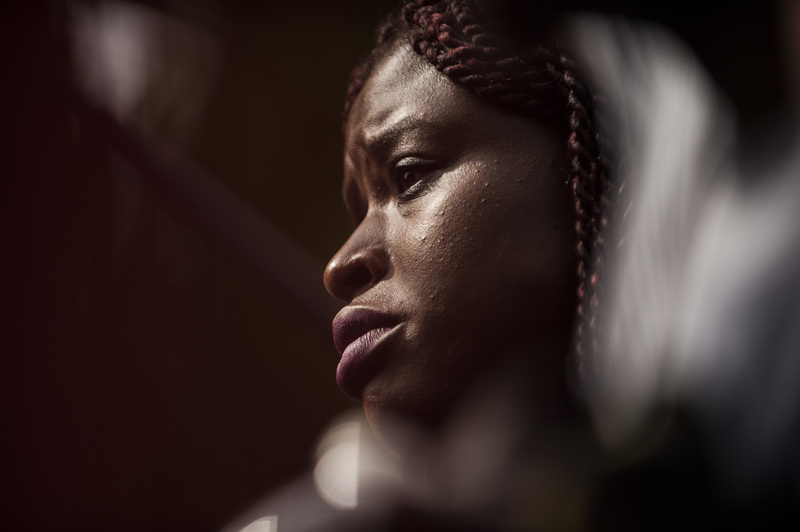 Minneapolis NAACP president, Nekima Levy-Pounds, listens as Clarence D. Castile, uncle of Philando Castile, speaks outside the Governor's Mansion on July 7, 2016 in St. Paul, Minnesota. 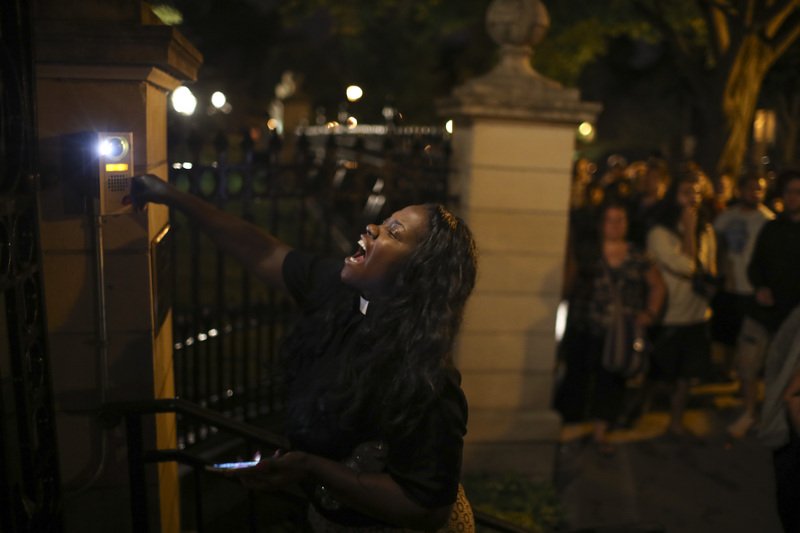 A woman rings the doorbell at the gate of the Governors Mansion as demonstrators gather in St. Paul, Minn., protesting a police involved shooting early Thursday, July 7, 2016. 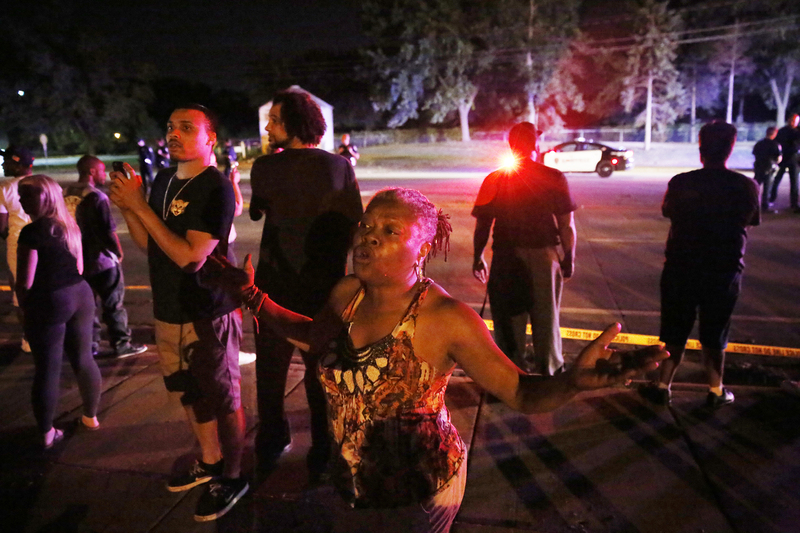 A Minnesota officer fatally shot a man in a car with a woman and a child in Falcon Heights, an official said. St. Anthony Police interim police chief Jon Mangseth said the incident began when an officer pulled over a vehicle Wednesday in the St. Paul suburb. Mangseth said he did not have details about the reason for the traffic stop, but that at some point shots were fired. The man was struck but no one else was injured, he said. 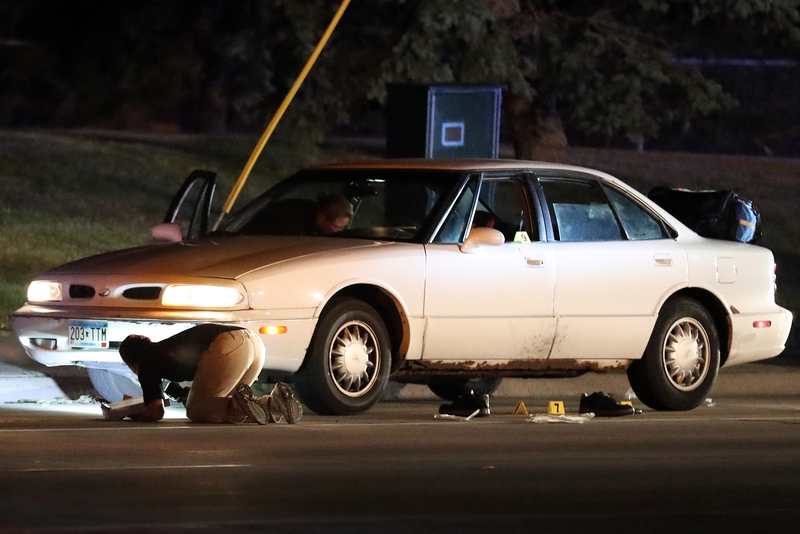 A car at the scene of a shooting of a man involving a St. Anthony Park Police officer Wednesday, July 6, 2016, in Falcon Heights, Minn. Police in Minnesota say a man has been taken to a hospital in unknown condition after being shot by an officer while inside a car with a woman and a child. St. Anthony Police interim police chief Jon Mangseth told reporters at a news conference that the incident began when an officer from his agency initiated a traffic stop around 9 p.m. Wednesday in Falcon Heights, a St. Paul suburb. 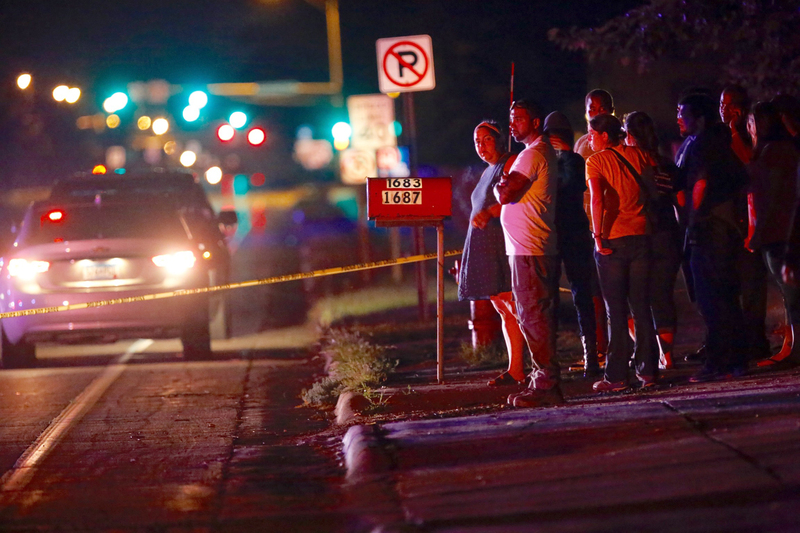 A crowd gathers at the scene of a shooting of a man involving a St. Anthony Police officer on Wednesday, July 6, 2016, in Falcon Heights, Minn. Police in Minnesota say a man has been taken to a hospital in unknown condition after being shot by an officer while inside a car with a woman and a child. St. Anthony Police interim police chief Jon Mangseth told reporters at a news conference that the incident began when an officer from his agency initiated a traffic stop around 9 p.m. Wednesday in Falcon Heights, a St. Paul suburb. 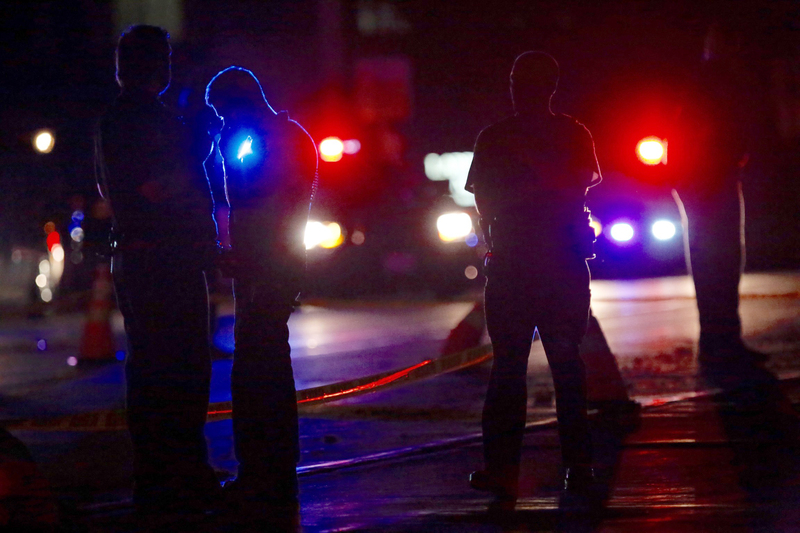 Investigators search a car at the scene of a police involved shooting on Wednesday, July 6, 2016 in Falcon Heights, Minn. A Minnesota officer fatally shot a man in the car with a woman and a child, an official said. St. Anthony Police interim police chief Jon Mangseth said the incident began when an officer pulled over a vehicle Wednesday in the St. Paul suburb. Mangseth said he did not have details about the reason for the traffic stop, but that at some point shots were fired. The man was struck but no one else was injured, he said. 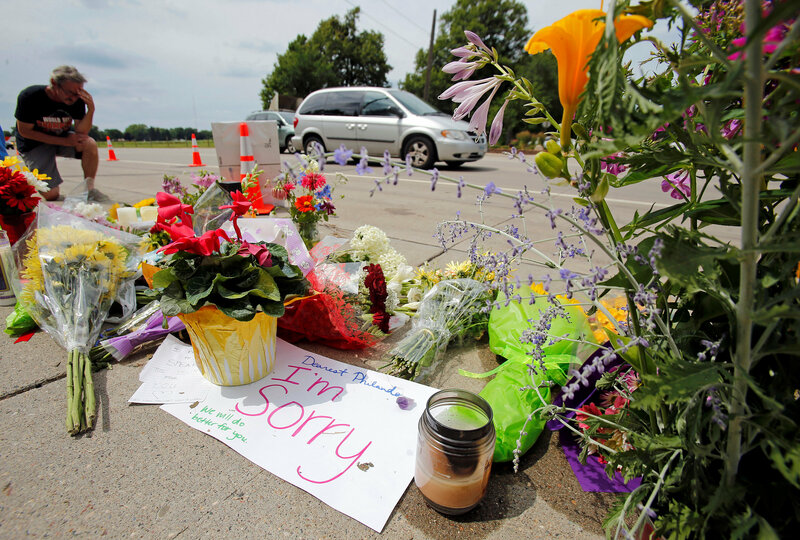 A woman joins others gathered at the scene of a police involved shooting on Wednesday, July 6, 2016 in Falcon Heights, Minn. St. Anthony Police interim police chief Jon Mangseth said the incident began when an officer pulled over a vehicle Wednesday in the St. Paul suburb. Mangseth said he did not have details about the reason for the traffic stop, but that at some point shots were fired. The man was struck but no one else was injured, he said.